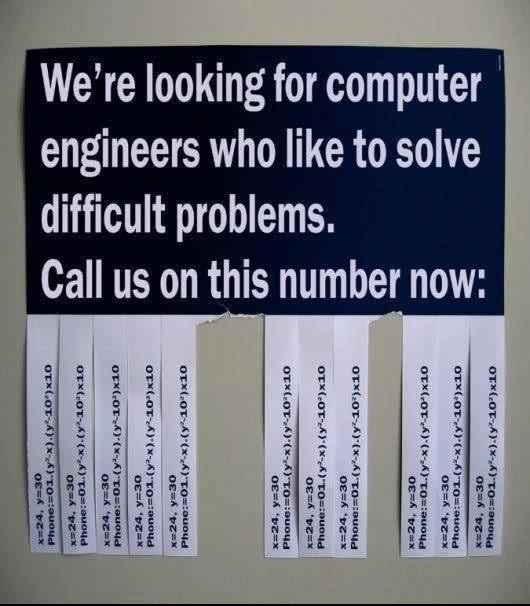 In what might apparently be a satirical image, one might find this as a life hack which is one of the most apt ways of finding the right employees and avoiding the spam or even dull candidates at the same time. Though this one gives the concept with a simple problem on the slip, the idea might be used to give out job ads in more complex and relevant problems. If it is posted on a serious job ads sight or directly on an employer outlet / website, I doubt any one would take an ad like this as a hoax.